Chef Sanjeev Kapoor is considered the most important and popular chef in India, which was chosen the best Indian chef by the Government of India - came to Israel for a short visit. He was a guest of Dan Hotels Israel and the Indian Embassy. This includes "the Indian culinary week" at La RegenceThe hotel "King David" Jerusalem.Also held by Indian Chef Indian cooking workshops Dan Gourmet School in Tel Aviv. As part of "Indian culinary week," chef Sanjeev Kapoor created with David Biton, chef at "King David" Jerusalem Kosher Indian menu. Two chefs cooked together and prepare authentic Indian dishes but kosher. These dishes to the menu of the restaurant joined La Regence Offering Indian culinary experience / fine Israeli and kosher. · Bhatti Ka Morges ( Bhatti Ka Murgh) - Chicken pieces on the bone cooked in a sauce Bhatti - the Indian version of barbecue. · Kebab Galoti ( Galouti Kabab) - Patties of minced lamb fried in a pan tawa Indian. · Mango Morges Makhni ( Mango Murgh Makhani) - Chicken pieces on the grill with tomato sauce, combined with mango pieces. · Manali Rogan Josh ( Nalli Roganjosh) - Lamb cooked in a spicy masala sauce until it reaches a very soft. · Ghost Dam biryani ( Dum Gosht Biryani) - Succulent pieces of lamb chops cooked with spices and long-basmati rice in DUM - Slow cooking Indian vessels. The Indian opened this week reception at the Dan Tel Aviv. The reception was attended by Rafi Sadeh, CEO Dan Hotels, Fabn Kapur, Indian Ambassador and chef Sanjeev Kapoor of course. For Indian chef prepared face a large selection of Indian dishes. But when he presented the dishes he also said that there is no kitchen Indian - and in each region and sub-region are preparing other dishes, local food production. Further, Sanjeev KapoorIndian food making workshops at the Dan Gourmet "in Tel Aviv. Workshops attended by chefs and lovers of Indian cooking. Chef preparing fish biryani August Dame - her famous dish that was offered on the menu of La Regence.All stages of preparation, soaking the rice and cooked meat from the early seasoning dish marinated and building as layers of meat, layers of rice, onions and spices.Everything is cooked slowly in a pot high which was glued to the pot lid with dough, to maintain the proper cooking process. More fish chef preparing chicken, eggplant casserole (his mother's kitchen), fish and savory baked banana peels and even a refreshing drink flavored with cumin and mint blackened. 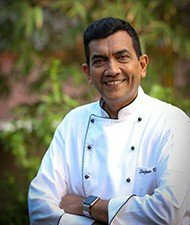 Chef Sanjeev Kapoor The popular chef and is considered the most important in India and selected the best Indian chef by the Government of India. He represented India in the World Association of Chefs and the campaign was the Indian ambassador of the UN on clean cooking. Over the years, Chef Kapoor Numerous state dinners cooked prime minister of India. 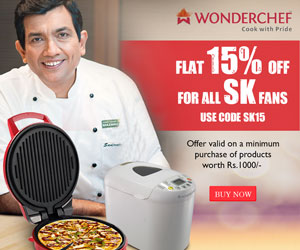 Chef Sanjeev Kapoor There are 5 restaurants in popularity in India and branch offices worldwide. It also has its own TV channel FoodFood And is considered one of the most recognized figures in Indian television. 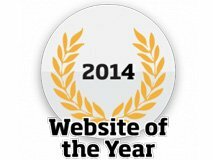 Website of Chef Sanjeev Kapoor With over 15,000 recipes every month attracts over 10 million users and has over 4 million followers on his Facebook page. In addition, the chef Sanjeev Kapoor Published over 200 cookbooks and recipes which have been translated into 7 languages ? ?and become bestsellers around the world.